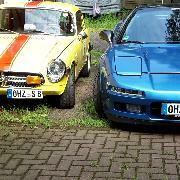 Honda NSX NA1/NA2 Forum 1991 - 2006 » Happy 30th Birthday, na1 ! Happy 30th Birthday, na1 ! Heute vor 30 Jahren wurde der Honda/Acura NSX dem Publikum das erste Mal vorgestellt. Eine Legende wird endgültig erwachsen ! RE: Happy 30th Birthday, na1 ! Wie die Zeit vergeht...!! Man sieht dem Fahrzeug dieses fortgeschrittene Alter jedoch nicht an!! 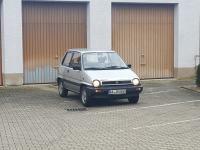 Dank dem modernen Honda-Design, welches seiner Zeit mal voraus war...!! Acura is marking 30 years since the shot heard ‘round the automotive world -- the 1989 global debut of the first-generation Acura NSX. The first mid-engine exotic without a European pedigree, NSX was a low slung, super light, high-revving machine sporting the world’s first all-aluminum monocoque, titanium connecting rods, a VTEC valvetrain and levels of quality and daily driving comfort unheard of in sports cars of the time. Einfach nur schön, ein Traumwagen !!! Danke für den Hinweis auf das Datum. Werde heute Abend mal auf das Schmuckstück anstoßen. In 19 Tagen ist endlich wieder Saisonbeginn.